Join us at the Suncoast Boat Show taking place at Marina Jacks, Sarasota, FL on April 26th through April 28th, 2019! 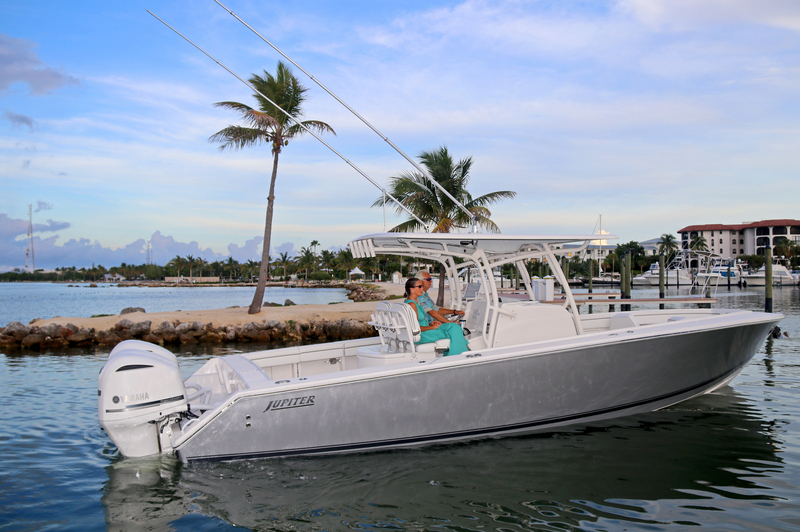 Our good friends at Bob Hodge Marine Group will have the Jupiter 30 HFS, 34 HFS, 38 HFS AND 43 SF on display and beaming bright for you to step aboard! For more information about the Jupiter Marine display at the Suncoast Boat Show please contact Bob Hodge Marine at 727-289-7050. 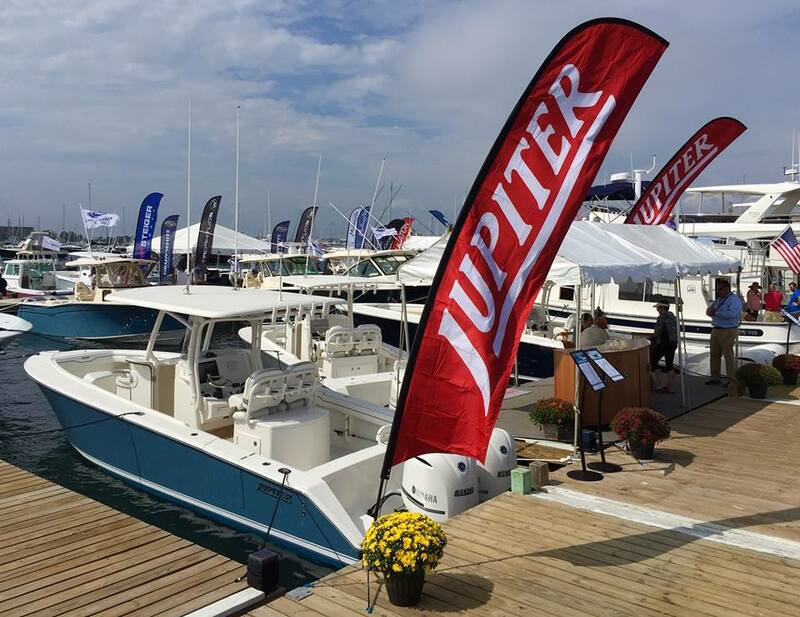 Join our good friends Bluewater Yacht Sales at the Lower Bay Boat Show to see the Jupiters beaming bright and waiting for you to step aboard! For more information about the Jupiter Marine display at the Lower Bay Boat Show please contact Bluewater Yacht Sales at 252-241-7566. 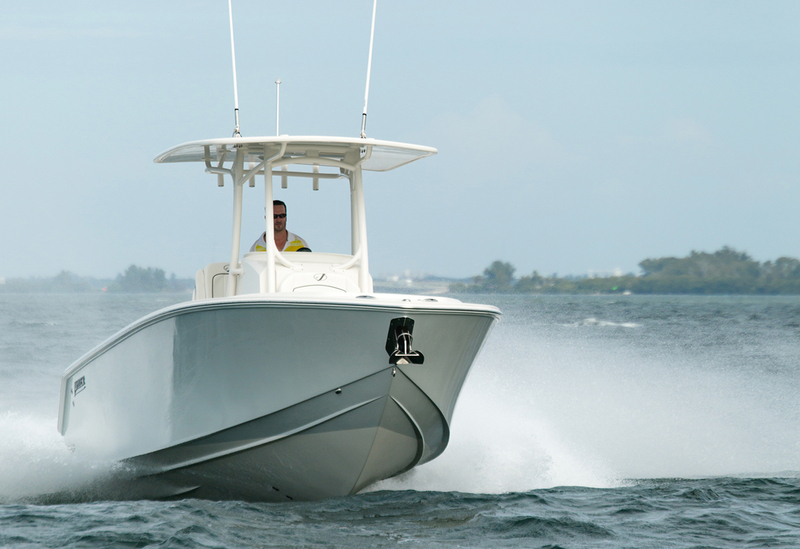 Join our good friends South Jersey Yacht Sales for a Jupiter Marine Demo Day! Don’t miss this exciting opportunity to step aboard and experience the Jupiter difference! Demo boat details coming soon! For more information on the Jupiter display, contact South Jersey Yacht Sales at 609-884-1600. 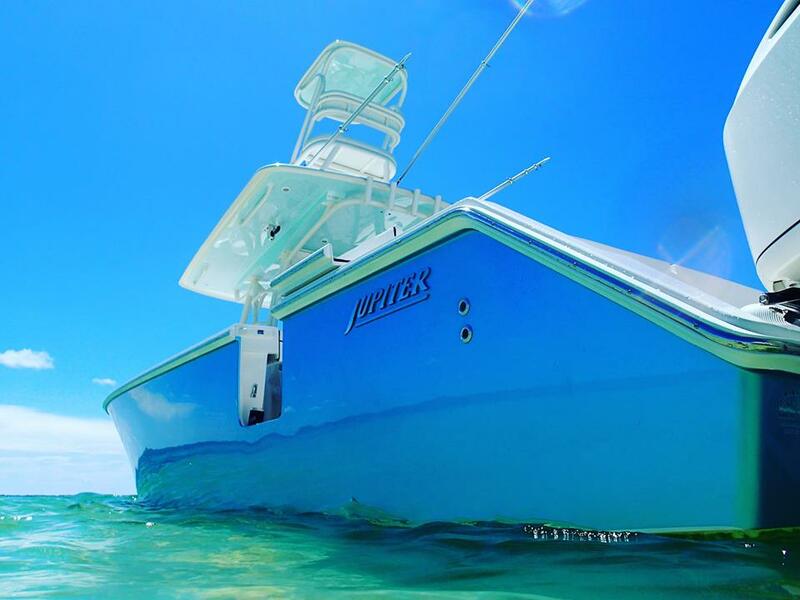 Join our good friends Bluewater Yacht Sales at the Crystal Coast Boat Show to see the Jupiters beaming bright and waiting for you to step aboard! For more information on the Jupiter Marine display at the Crystal Coast Boat Show please contact Bluewater Yacht Sales at 252-241-7566. 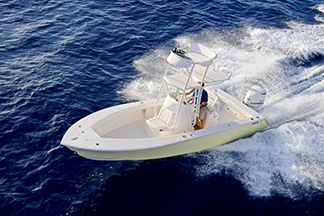 Join our good friends Team Tuppen’s of Tuppen’s Marine as they battle the big ones aboard the NEW 2019 Jupiter 38 TE! Join our good friends South Jersey Yacht Sales for the 39th Annual South Jersey Shark Tournament! For more information, please contact South Jersey Yacht Sales at 609-884-1600. Join our good friends Bluewater Yacht Sales for the Big Rock Blue Marlin Tournament! For more information, please contact Bluewater Yacht Sales at 252-241-7566. Join our good friends South Jersey Yacht Sales for the Mid-Atlantic Tuna Tournament! Join our good friends Bluewater Yacht Sales for the Virginia Beach Tuna Tournament! 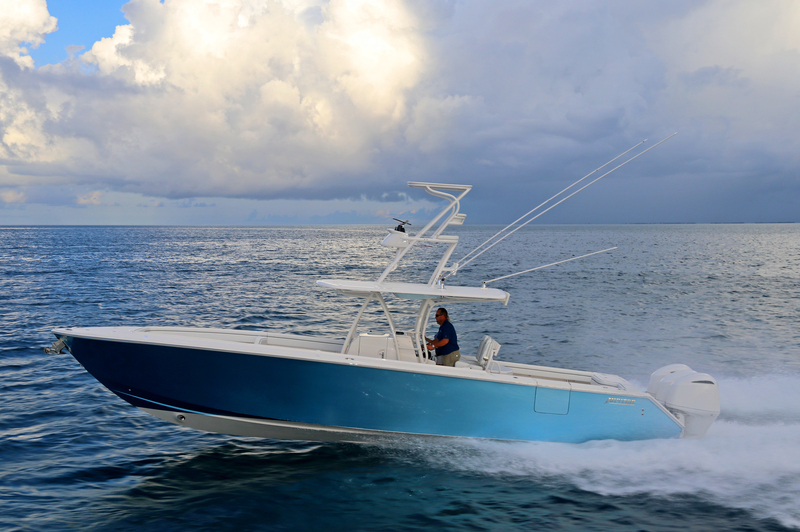 Join our good friends Bluewater Yacht Sales for the Suntex Cobia Tournament! Join our good friends South Jersey Yacht Sales for the MidAtlantic Cup! 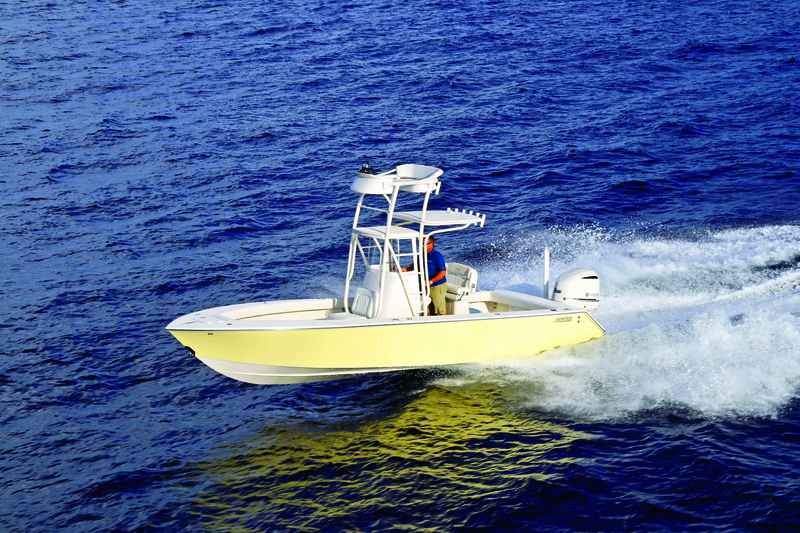 Join our good friends South Jersey Yacht Sales for the Offshore Showdown! Join our good friends South Jersey Yacht Sales for the 53rd Annual Yacht Club of Stone Harbor Marlin Tournament! 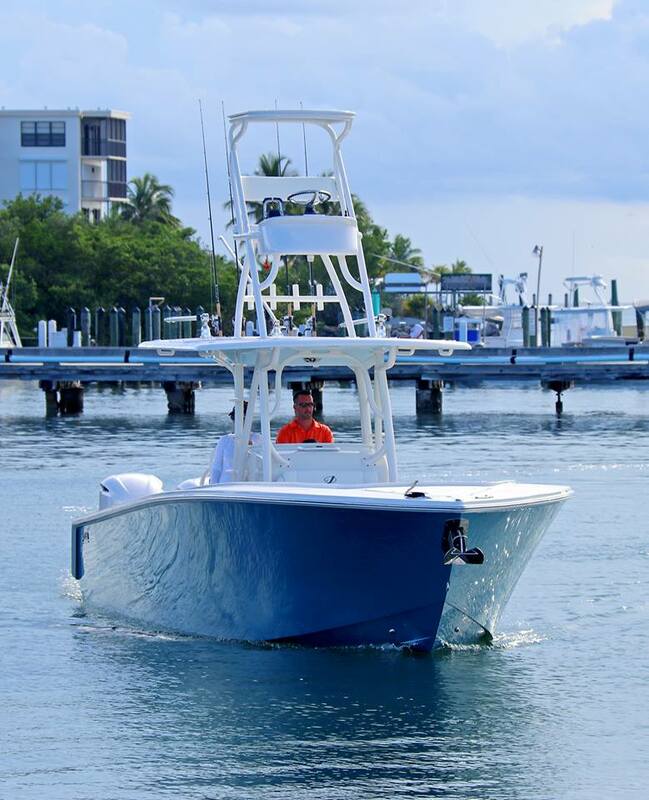 Join our good friends Bluewater Yacht Sales for the White Marlin Open! Join our good friends South Jersey Yacht Sales for the 28th Annual MidAtlantic Tournament! Join us at the Golden Nugget Hotel for the Atlantic City In-Water Boat Show! For more information on the Jupiter display at the Atlantic City In-Water Boat Show please contact South Jersey Yacht Sales at 609-884-1600. Join us at the Wilmington Boat Show taking place at the Wilmington Convention Center, September 6th through September 8th, 2019! For more information on the Jupiter display at the Wilmington Boat Show please contact Bluewater Yacht Sales at 252-241-7566. Join us at the Tampa Boat Show taking place at the Tampa Convention Center, September 6th through September 8th, 2019! 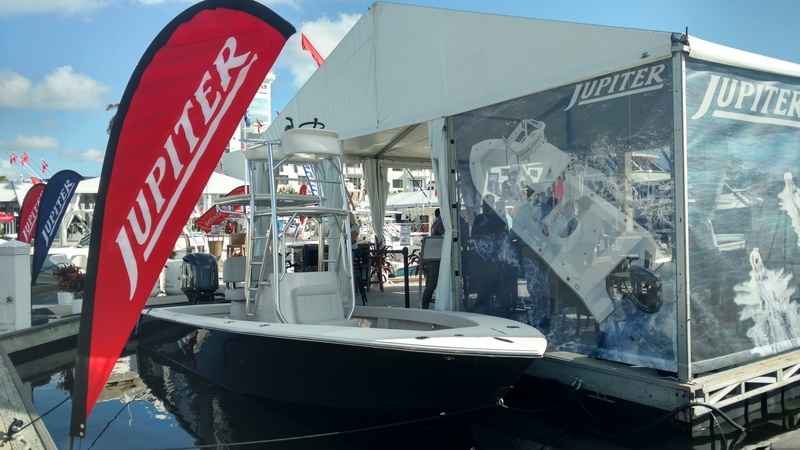 For more information on the Jupiter display at the Tampa Boat Show please contact Bob Hodge Marine Group at 727-289-7050. Join us at the Newport International Boat Show taking place at the Newport Yachting Center, September 12th through 15th, 2019! For more information on the Jupiter display at the Newport International Boat Show please contact Cape Yachts at 508-994-4444. Join us at the US Power Boat Show taking place at City Dock, October 3rd through October 6th, 2019! For more information on the Jupiter display at the US Power Boat Show please contact Bluewater Yacht Sales at 252-241-7566. The Jupiter Fleet is headed to the Yachting Capital of the world! Join us at the Fort Lauderdale International Boat Show to catch the Jupiter beauties beaming bright! Jupiter is committed to quality, execution and performance from start to finish. Mass production is not in our vocabulary. Our skilled boat builders hand craft each vessel one at a time ensuring nothing less than perfection. 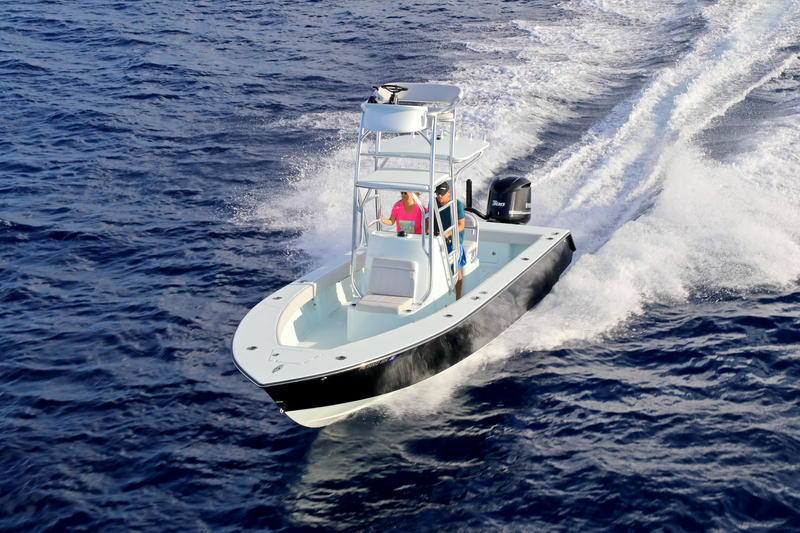 Jupiter boats are specifically designed to run at high speeds in offshore sea conditions while providing passengers with a smooth, comfortable and amazingly dry ride. 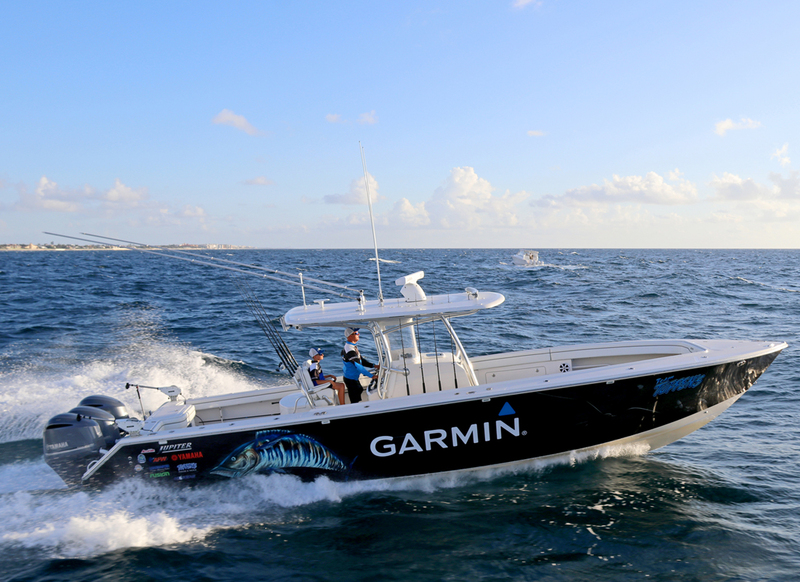 Join us in Fort Lauderdale and see first-hand the quality and craftsmanship that goes into each boat we make. For more information about the Jupiter Marine display at the Ft Lauderdale International Boat Show please contact sales@jupitermarine.com. Join us at the Duke Energy Center for the St. Petersburg Power and Sailboat Show! For more information about the Jupiter display at the St. Petersburg Power & Sailboat Show please contact Bob Hodge Marine Group at 727-289-7050.